A3 printers are designed for comparatively low throughput and domestic or small office environments. Put them in a busy studio and you'll spend half your time swapping ink tanks. 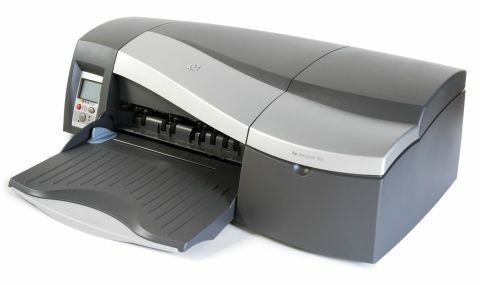 The DesignJet 30n is the solution. It's designed for this kind of workload, with ink tanks the size of bathtubs (well, nearly) and separate print heads for high-volume use and better long-term maintenance. On the downside, you don't get borderless printing. The 30n 'only' prints in six colours but the output quality is excellent, so does it really matter? Well, the Canon i9950 produces better saturation, especially reds and greens, while the HP 8750 has stronger blues.